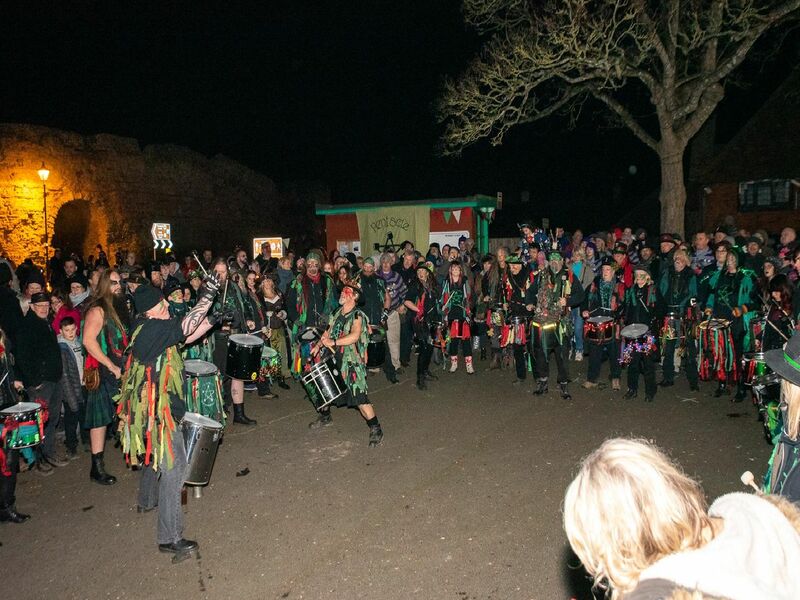 Hundreds of people from all over the country visited Pevensey at the weekend for the ancient Pagan Wassail ritual, organised by Pentacle Drummers. There was a torchlight procession and ceremony to wake the apple trees at the event outside the Royal Oak pub - with more than £700 raised for the Children With Cancer Fund Polegate. The ancient pagan ritual is meant to encourage a good harvest from fruit trees and bring on the spring - photo by Stuart Mole. The term 'wassail' comes from the Old Norse 'ves heill' which means be healthy. It was probably introduced by the Danes.Photo by Stuart Mole. The Wassail is in its 7th year. Photo by Stuart Mole.